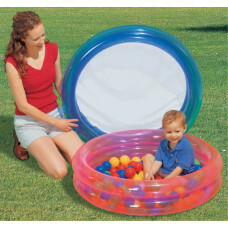 Size: 91cm Age: 3+ Built in sand chamber for stability Fun for children 3 assorted design.. 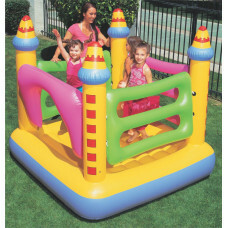 Size: 183cm x 183cm x 168cm Age: 3-6 Weight capacity: 85kg Removable solid walls Repair p.. 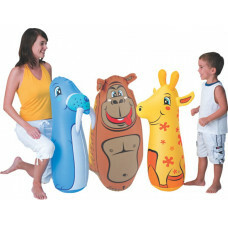 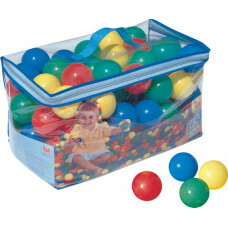 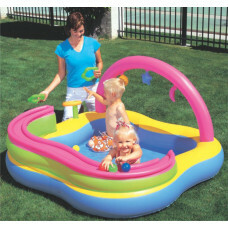 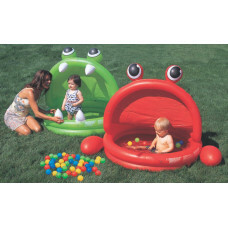 Size: 152cm x 107cm Age: 3-6 Weight capacity: 65kg Removable rings for hours of fun Solid.. 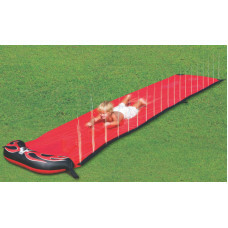 Size: 488cm Age: 3+ Stakes secures cloth to ground Garden hose attaches to activate spray h.. 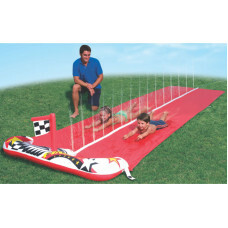 Size: 488cm Age: 3+ Stakes secures cloth to ground Water sprayer runs up the middle of the ..